Looking for leading warehouse management software? Although it's easier than ever for consumers to buy products and have their purchases arrive the next day, it's had the opposite effect on businesses, making it even more difficult for warehouses to keep their supply chain running smoothly. The production centers and distribution channels that supply chains are built on often experience extreme fluctuations, which is why we need effective warehouse and inventory management systems now more than ever. So what's the difference? As online spending rises and the number of platforms used by businesses increases, what can retailers do to effectively manage their inventory across multiple channels? Well, inventory management systems offer many benefits. Let’s take a look at 5 such benefits. Document management software is a great tool for supply companies that not only reduces the risk of ever losing track of important data, info or communications, but also minimizes clutter and physical storage needs. Read on to learn about top document management software for supply companies, and how these solutions can make a company’s part in the supply chain even easier and more efficient. inFlow is an top inventory management software solution designed around a deep understanding of the company's users. 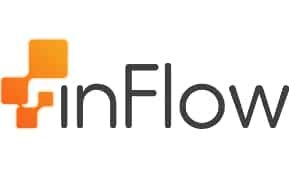 We sat down with Stephen Fung, co-founder of inFlow, to chat about the rewarding challenges of providing affordable -- even free -- inventory management solutions for small businesses. 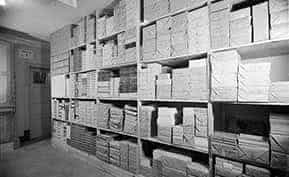 Any company that keeps major amounts of inventory is going to need a quality warehouse management system. It doesn't matter how elite your sales team is at closing deals or even how good your product is if it never reaches the customer on a consistent basis thanks to spotty or downright dysfunctional supply chain and warehouse management. We put together a list of five WMS vendors who offer cloud-based solutions to try and shed a bit more light on this nascent subsection of the segment. This week’s community question comes from Varun K., who asks, “What is the best warehouse management system for a retailer with both online and brick-and-mortar capabilities?” A top WMS with robust ecommerce capabilities can handle the needs of a warehouse with both a physical and online presence. 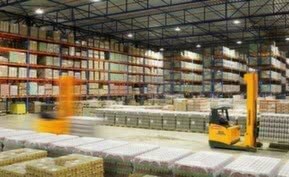 We’ve chosen 3 WMS solutions that could simplify operations for Varun’s warehouse. 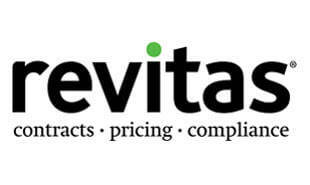 Revitas optimizes complex manufacturing channels and improve distribution techniques with top manufacturing and distribution software solutions. We sat down with President and COO Al Smith to learn how Revitas is reinventing itself for the 21st century. Epicor Prophet 21, previously known as Activant, is a wholesale distribution ERP solution that utilizes a Windows-based platform and SQL Server database. Prophet 21 has the familiarity of Window’s programs which reduces the amount of time it takes new learners to feel comfortable with the solution. The openness of the SQL Server database helps companies to adapt to changes more quickly and helps them maintain their competitiveness. 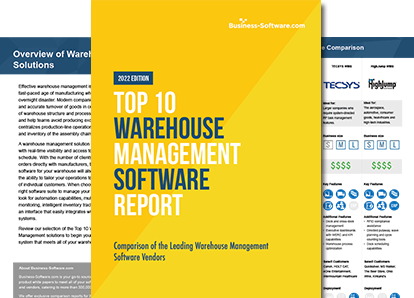 TECSYS warehouse management software is a comprehensive, fully featured solution that can simplify warehouse processes for the user's company. TECSYS WMS's SOA architecture provides an open system which can be deployed on any sort of infrastructure and accessed from any device at any time. 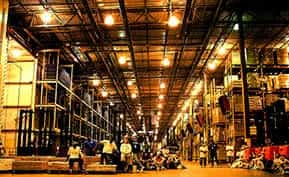 HighJump WMS helps companies optimize the space that they have, equipment and their employees to help warehouses stay organized and run efficiently. HighJump WMS was designed to manage highly regulated and complex environments by providing WMS solutions built using industry best practices. These best practices are applied to receiving, pick/pack, inventory management, order processing, loading, shipping and other key warehouse functions. HighJump WMS can also be modified to company specific processes using HighJump adaptability tools to make sure companies can get the most out of HighJump WMS.